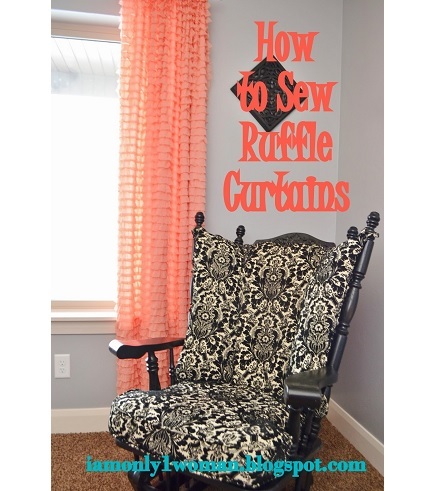 Bobbie from A Vision to Remember shows how you can make these super simple ruffle curtains. She uses pre-ruffled fabric so you won’t be basting and pulling miles of fabric to make the ruffles. And, the ruffled fabric won’t fray so there’s no need to hem. Each panel takes just one easy, straight seam to make the rod pocket. Get the tutorial at A Vision to Remember.